Many high schoolers, both guys and girls, read the Alex Rider series by Anthony Horowitz in middle school, including myself. I loved the series, which started with “Stormbreaker,” where Alex Rider was introduced as an orphaned boy raised by his uncle. His family hid many secrets from him, including their life’s work. So Alex was thrown into the secret life his family had doomed him to be a part of, leading to him almost being killed on numerous occasions, one assassin nearly succeeded, a Russian named Yassen Gregorovich. Yassen Gregorovich is a highly skilled assassin who, throughout the series, is hired to kill many people that cross Alex Rider’s path. When Alex sticks his nose into a top secret organization’s business, Yassen is hired by that group to kill Alex Rider. Yassen has a reputation that can be counted on: he always kills, and he is always untraceable. 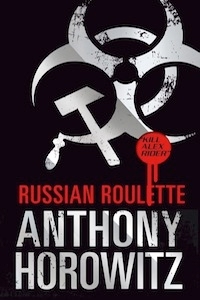 “Russian Roulette” is the tenth and final book in the Alex Rider Series, though the main character isn’t Alex in this book. It is the story of a boy named Yasha Gregorovich who was raised by his parents in a tiny town near Moscow, Russia, named Estrov. The book tells the story of how innocent and young Yasha becomes the cold blooded assassin, Yassen. This is a book of twists, turns and deceit. I give a high rating of four cardinals for any lovers of action and spy adventures, but if you haven’t read the other nine, I recommend those first.